Image of the Axial-mode wire helix with linearly tapered ends. 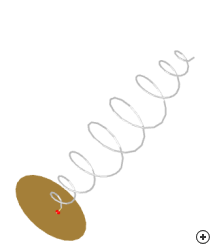 The Axial-mode wire helix antenna with linearly tapered ends consists of a linearly tapered bottom section, a uniform middle section and a linearly tapered top section, mounted on a circular ground plane. 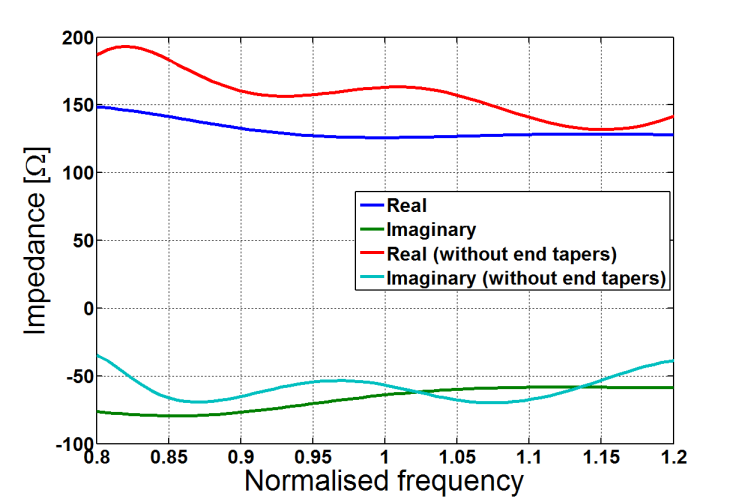 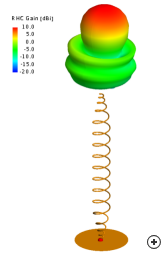 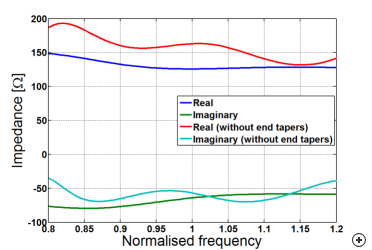 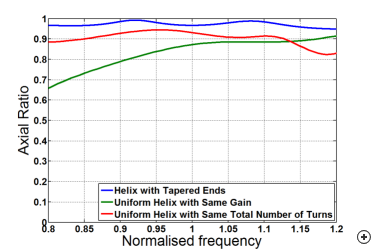 Comparing the axial ratio and impedance response of this antenna to an ordinary axial-mode helix highlights the advantage of tapering the ends. 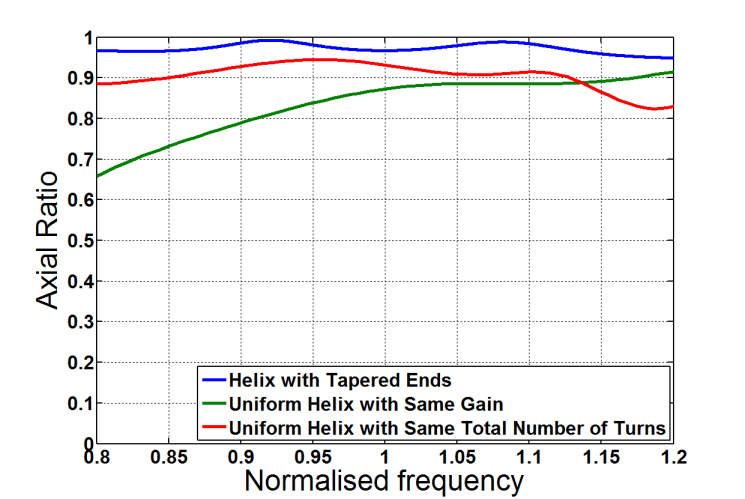 One disadvantage is that the tapered ends reduces the gain when compared to an ordinary axial-mode helix.